Our closets are usually the place where we throw everything into and deal with it later. Most people say they don't have the time to organize their closets since it stays in such a mess already. Well we are here to help you out with some great tips to turn your closet around and into an organized space. Completely empty your wear on a regular basis and what is simply taking up valuable space. Set aside any seasonal items to be put in airtight containers and taken to your indoor self-storage unit until you need them again. Sort your clothing into three piles: keep, donate and store at Triple AAA Storage. Find examples online of ways to create even more space from the back of your closet doors. 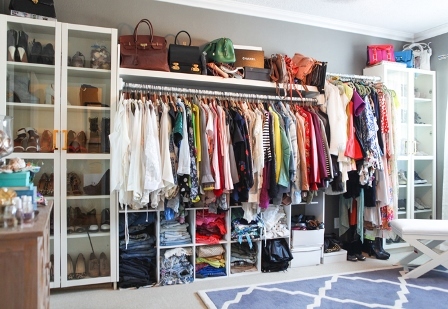 Now you can store more purses, shoes, or anything else you have in excess in your closet.